Get the OFF TO WORK CD by Sister Jenna. Like America Meditating on FB & Follow us on Twitter. What happens to us physiologically, spiritually and emotionally when we forgive? 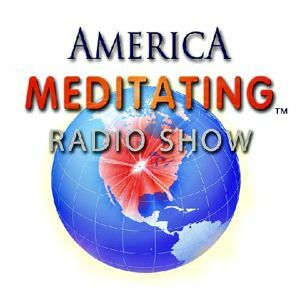 Join us as Sister Jenna welcomes Shawne Duperon to the America Meditating Radio Show to discuss Project Forgive. Six-time EMMY Award winning media coach Shawne Duperon has taught thousands how to communicate as leaders in business. You have seen her featured in major media including, CNN, ABC, “Inc. Magazine,” and ... Maggiori informazioni “USA Today," to name a few. A Ph.D. candidate in interpersonal communication, her expertise is gossip: how it impacts culture, the workplace, media and personal lives. Shawne’s personal passion is forgiveness. Her movement on global forgiveness was created through a film called “Project: Forgive,” now a flourishing non-profit foundation. The film’s five-minute movie trailer went viral and has been seen by tens of thousands across the globe, through applying gossip research. It has also attracted visionary leaders such as Archbishop Desmond Tutu and recording artist Naomi Judd, who now both endorse the project. Visit Shawne's website at www.ShawneTV.com and www.projectforgive.com. Watch the Project Forgive Video.